ISLE OF MAN – Microgaming took to one of the gaming industry’s must-visit events, to usher in a compelling showcase of diverse content over three action-packed days in the heart of London at ICE 2019. 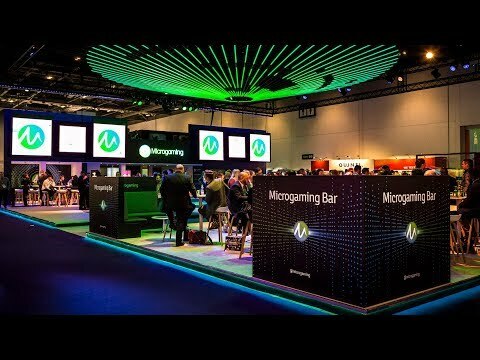 With a lively welcome into Microgaming’s world, the leading entertainment provider stunned hundreds of guests on its vibrant and awe-inspiring stand each day, and showcased a diverse range of spectacular 2019 reveals. Exclusive games were brought to life through a variety of creative performances and celebrations complemented by limited edition merchandise and a mesmerising lighting feature adapted to the colours of each game. Six independent game studios were hosted on the stand, to showcase the unique talent behind each of their upcoming creations that will be supplied exclusively to Microgaming. Setting the vibe for the week, the spectacle began with a colourful disco-tinged ‘70s flash mob to unveil the new Village People® Macho Moves online slot, developed by Fortune Factory Studios, and set to hit the charts later this year. The day was followed by a retro-wave inspired Happy Hour DJ set to reveal an iconic superspy’s thrilling comeback in Agent Jane Blonde Returns, created by Stormcraft Studios. Continuing on a high, Microgaming celebrated a number of remarkable milestones, including its record-breaking progressive jackpot network reaching over €1 billion in total payouts, and the business celebrating 25 years of innovation and success. The night continued at MNKY HSE, where Microgaming treated over 400 guests to a special night of entertainment. On Day 2 of ICE 2019, the Microgaming Bar featured a trio of samurai warriors amped up by a professional DJ to mark the award-winning supplier’s new Shogun of Time online slot by Just For The Win, and celebrated the longest-running brand partnership in the industry by unveiling the highly anticipated Lara Croft® Temples and Tombs online slot during a special Happy Hour. Marking Microgaming’s greenest ICE to date, the company highlighted some of its wider commitments in the areas of corporate social responsibility and environmental sustainability, with the brilliant eco-warriors of its CSR programme, Microgaming PlayItForward, providing a range of compostable cups, reusable water cans and recycling facilities for staff and guests.